Nothing stops a vacation short like a migraine. Having to close the curtains in your hotel room shut and pray that your neighbours don’t listen to the T.V. too loud, is a travelling nightmare for all migraine sufferers. Not mention the time you’ll lose laying in bed inside of absorbing your destination’s sights and sounds. Adding to this is the fact that travelling usually means sleep deprivation, stress and irregular eating patterns and these can all trigger a migraine i.e. across ocean flights can equal a disaster. So, what can you do? Last year, on a field school to India with Mount Royal University, I quickly had to figure this out. As a migraine sufferer for the past five years, it was daunting to face 35 days away from the creature comforts of home. I had to have a plan in place to help me prevent them from occurring in the first place. My first strategy was to break up my trip into segments so I wouldn’t have to deal with a 12-hour time difference right off the bat. Since there are no direct flights from Calgary to New Delhi, I had to connect in Frankfurt. Instead of treating Frankfurt as just a place to wait out a few-hour long layover, I decided to take a few days and see what the city had to offer. This decision ended up being one the best ones I’ve ever made. It was easy for me to sleep in a bit, tour the city until the early evening, then catch a quick nap before going out again for dinner. This dramatically lessened my sleep deprivation and gave me stores of energy for when I arrived in India. Using a sleep schedule like that also helped combat the chance of incurring an irregular eating pattern. It gave me windows of time where I should eat and helped my body adjust. I made sure to have a water bottle with me at all times as dehydration will only make a migraine worse and included a stash of protein and granola bars in my backpack in case I ever got stuck in a place where there wasn’t any food available or, in the case of India, not suitable unless I wanted to risk getting sick. I made sure that these snacks were as natural as possible, had a relatively low amount of sugar, and were high in protein and fibre. You don’t want to pack overly sugary snacks and then face the possibly of a crash after a sugar high — another migraine trigger. The most difficult migraine trigger to prevent is stress, as you simply cannot predict the future. But, what you can do is prepare yourself for different situations and have a strategy to keep your breathing calm and shoulders relaxed. Since I was going to India, I knew that culture shock was a distinct possibility. Somehow, someway I managed not to become completely overwhelmed. After we landed in New Delhi and walked out the airport doors to the throngs of people and taxis, I simply took a moment, looked around and said, “I’m here”. That millisecond of self-realization paid off. I didn’t panic when our taxi driver tied our luggage to the car’s roof with a thin piece of twine. I didn’t get anxious when we could tell that he didn’t exactly know where he was going. I was there and along for the ride. 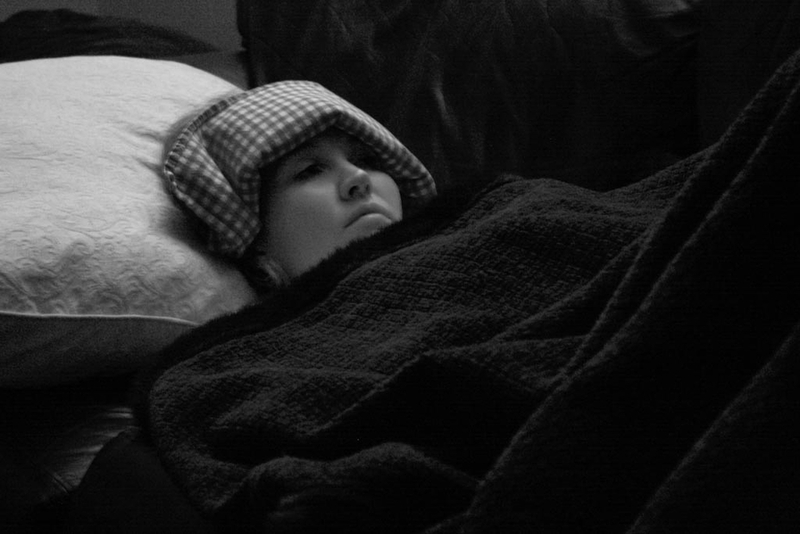 I did get migraines when I was in India but they were quite manageable (probably due to the consistent weather). I let my travel partners know my situation and they were very accommodating when I had to go to bed early or take a mid-day break. What I learned most from that trip was to have strategies ready to fight a migraine before it appears and to use them. Your plan to prevent migraines must be put in action so you can enjoy the most of a vacation you most definitely deserve.